I know there are oodles of articles stating why Common Core is good or bad. I'm a fan of Common Core though I'm quick to note there are weaknesses. It was a massive undertaking and probably launched too quickly without enough context or information. It's introduction has created incredibly divisive perspectives and publishers have fallen all over themselves to try to respond to whatever they think Common Core is supposed to be. Much of that misguided content has reinforced the notion that Common Core is a curriculum, but it's also made it that much more difficult to sort out what could be true from that which is patently false. On top of that are poorly thought-out implementations which have served only to shatter any potential for positive impressions. And so. 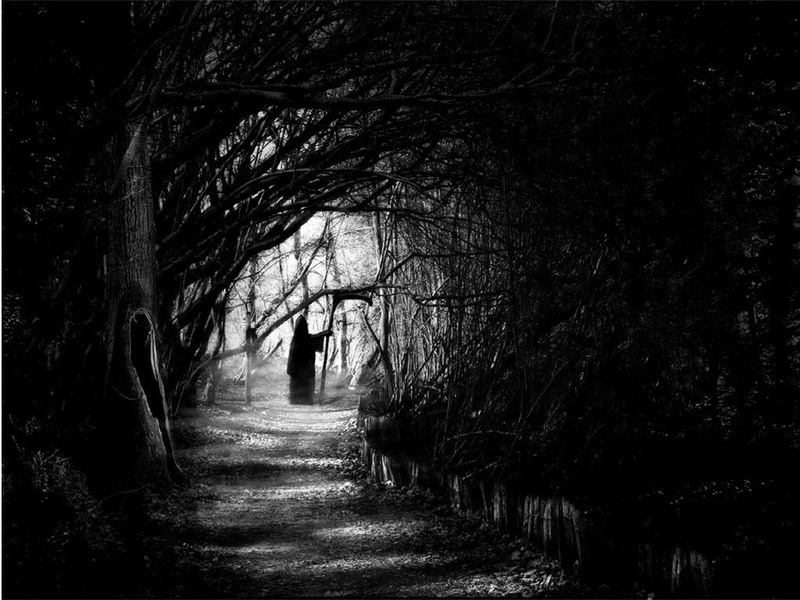 . .
Once upon a time, the educational wizards gathered in the Forest of Rigor. They knew much needed to be done to improve learning in the Land. But the Land was torn by warring clans who often refused to gather for the Great Council. Though some members of many clans saw some truth in the words of others, leaders of the clans refused to accept that any other clans might speak a truth for all the clans. Soon they refused to send out messengers to try to find common ground and staunchly asserted that only Clans' Rights mattered. 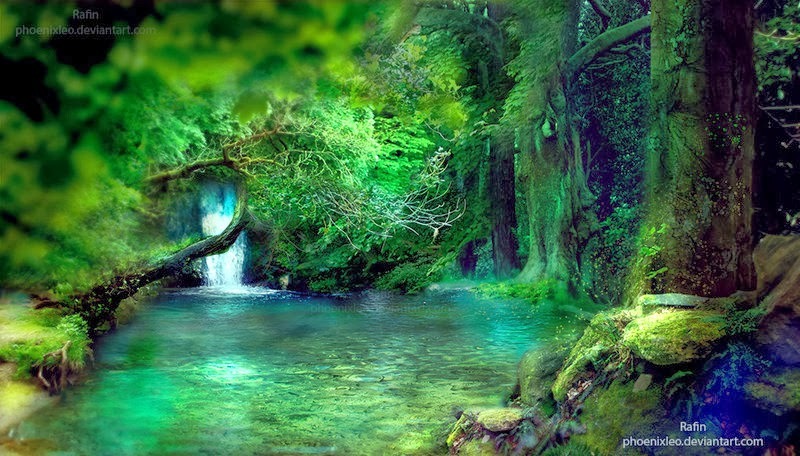 The wizards wearily approached the Pool of Relevance, seeking wisdom and insight in its waters. In the quiet of the Forest and refreshed by the Pool, they were encouraged to craft what they hoped would be potions that would bring relief. Over days and weeks that soon became months, they wrote and rewrote their potions and hoped to divine through their collective wisdom what they sought to offer to heal the Land. Soon they were able to send out messengers with the Shifts for Instruction, the Standards for Mathematical Practice, and the Anchor Standards for Reading. Even as they sent them out, they wondered if they would need to go out themselves to sit down with each of the clans and their leadership to explain the purpose and intent of each. Alas, they did not and so the next round of clan battles began; dissension and argument filled the air of the Land. Now, because I can carry that motif only so far, let me just offer you some of the information of what I think constitutes a framework for the Common Core. Though the folks behind the Common Core drafted ELA shifts and math shifts, I'm one of those who focuses primarily on the ELA shifts but call them Literacy Instructional Shifts. Why? Because these shifts are appropriate for any grade level and any content area. . . because literacy is important for any grade level and any content area. There are many versions of the instructional shifts. You can find versions on EngageNY, achievethecore, and others. The initial six have gone through a few iterations as educators have sought to clarify the shifts and what they mean. My version follows. Do the shifts need fine tuning? Probably. But I think what's needed most is a better understanding of the shifts and their intent, AND that these are intended to be a guideline for thinking about student-focused instruction. These seem to create little anxiety for most people, and many educators quickly see that the SMPs can be relevant for other content areas. That fact makes them much more attractive and, perhaps, less daunting. 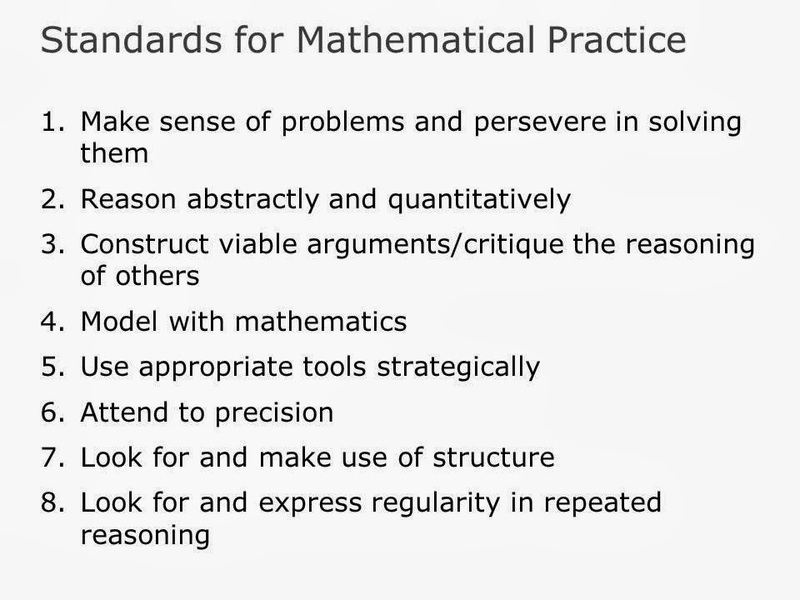 At the same time, many educators also express concern about the first of the Standards for Mathematical Practice because that one seems the most difficult for students. And that conversation leads to a conversation about grit, but that's a different post. 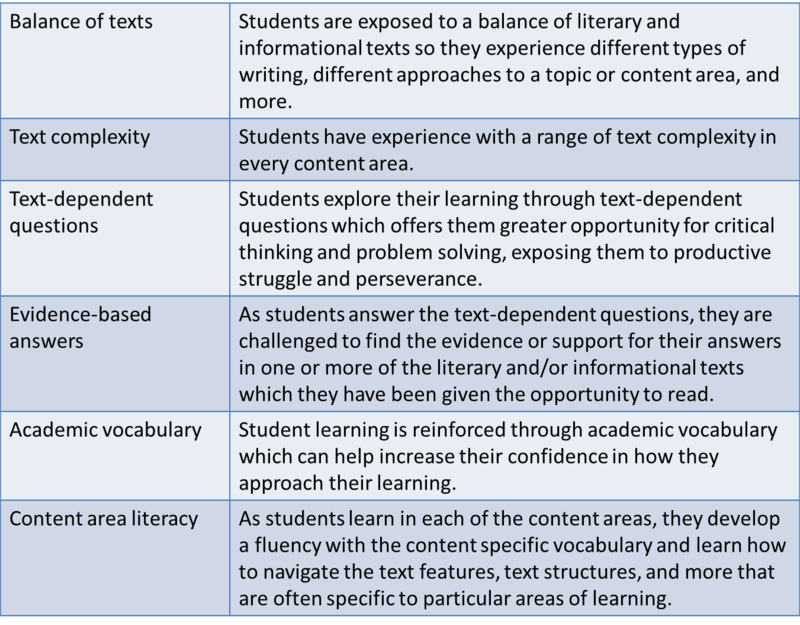 The Anchor Standards for Reading tend to address literary texts most. For those who do not teach literature, this can be an insurmountable problem as they seem incapable, though perhaps they are simply unwilling, to make inferences and transfer that which is appropriate to their own grades and content area. And then they wonder why their students can't or won't make inferences and transfer that which is appropriate to other learning situations. Curious. 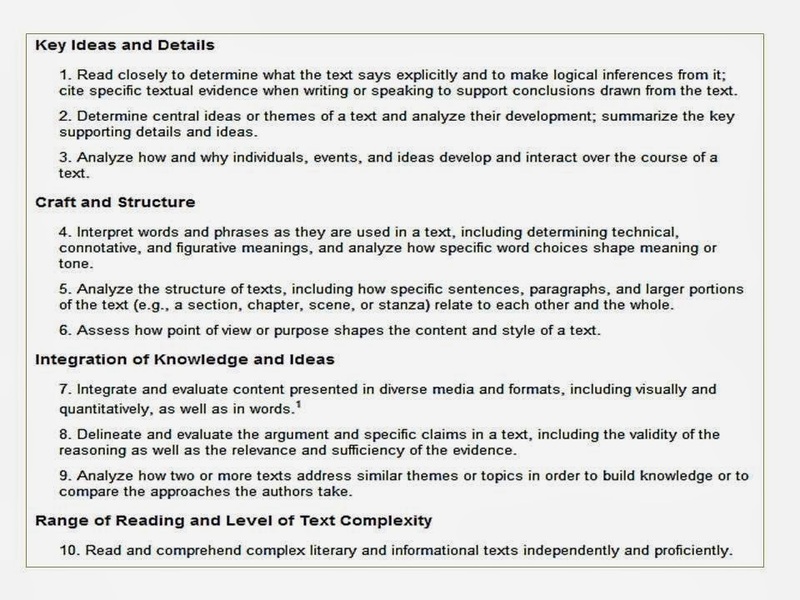 Anyway, there are ten Anchor Standards for Reading. There are Anchor Standards for Writing, but writing along with speaking and listening will be the focus of yet another post which will be preceded by a more in-depth post on these Anchor Standards for Reading. Of the ten Anchor Standards, there are many of us who assert the most important are the first and the last. The first because of all that it covers for reading skills--regardless of grade level or content area--and the last because that's what educators hope is the end result of much of a student's education: that that student will be a proficient and independent reader of complex literary and informational texts.